Normal use / ideal for personal workstations. Extend whiteboard surface life with regular cleanings, using Quartet® cleaning solutions. Mounts easily to both fabric-covered cubicle walls and standard walls. 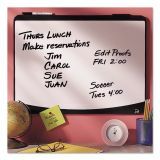 Quartet Tack & Write Board, 23 1/2 x 17 1/2, Black/White Surface, Black Frame - Innovative board is ideal for the modern day work environment. 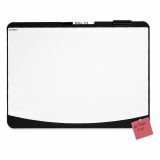 Features a slim, lightweight black foam frame for tacking and a stain-resistant writing surface that makes it a necessity. 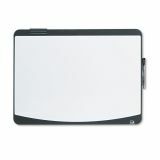 Designed to mount on regular walls, cubicles or even a refrigerator. 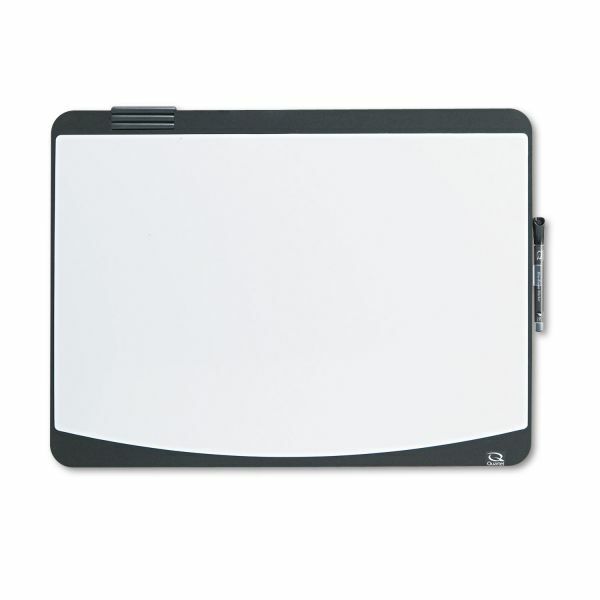 Includes one Quartet dry-erase marker, marker clip, erase and mounting hardware. 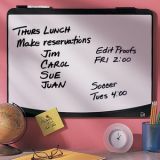 Includes one Quartet® dry-erase marker.